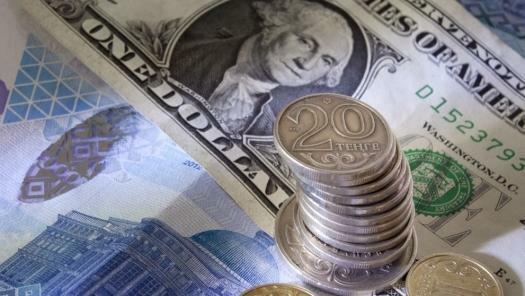 The weighted average US dollar rate in the morning session of the Kazakhstan Stock Exchange (KASE) on Feb. 12 amounted to 375.22 tenge, Trend reports citing the Kazakh media. Thus, the national currency of Kazakhstan has strengthened by 0.39 tenge against the US dollar compared to the morning session of Feb. 11 (375.61 tenge per US dollar). At today's morning trading session of the US dollar, the minimum rate was 375 tenge per US dollar and the maximum rate was 376.1 tenge, while the closing rate was 375.2 tenge per dollar. The trading volume amounted to $48.8 million, while the number of currency transactions totaled 141. Meanwhile, the official rate by the National Bank of Kazakhstan on Feb. 12 is 375.53 tenge per US dollar. In the exchange offices of Astana and Almaty, the maximum selling rate of the US currency is 378 tenge.